It has been posted on the company ZOOM UP of Empire News (No. 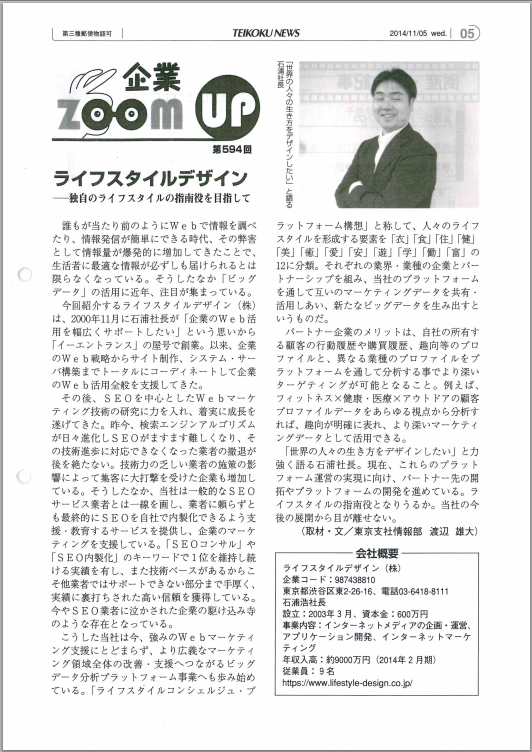 2014 / 11 / 5) | Lifestyle Design Co., Ltd.
Our company has been featured in companies ZOOM UP No. 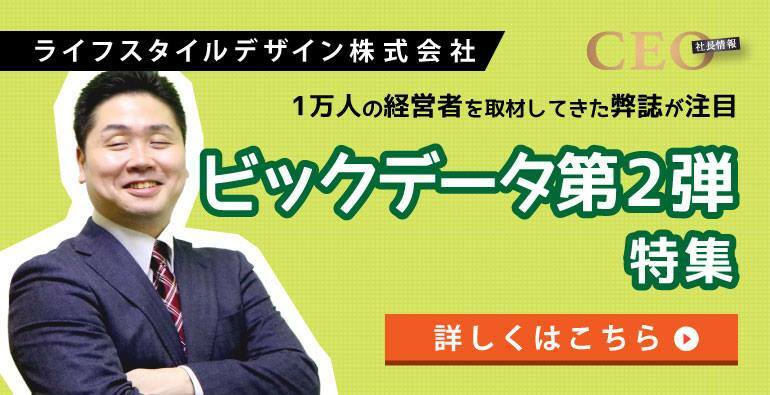 5594 times of Teikoku Databank, Inc. publication of Empire News (No. 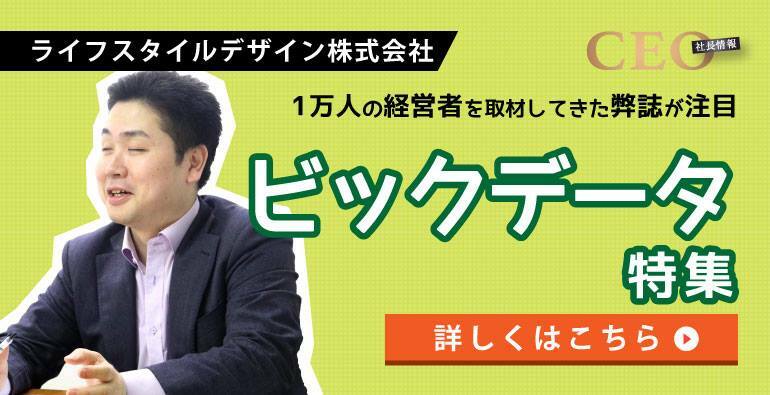 2014 / 11 / 5).